We understand that for most people a confirmed delivery date if essential to avoid taking priority over more important things in life, with this in mind we offer several options for delivery of your order. Below are the options that are available during the check-out process. Our delivery costs are determined by the weight of your order, standard delivery on orders over £250.00 nett is free of charge. Collect from our warehouse in Rowley Regis B65 0YU, please allow 3 working days after order is processed for collection. You will receive a confirmation email when your goods are ready for collection. Your order will be delivered 4 working days after it is processed – if you would like delivery on a specific day please confirm in the message box when placing your order. Available to all UK mainland addresses. With this service you can request a weekday delivery date of your preference in the message box (excluding weekends and bank holidays), from a minimum of 4 working days from when you place your order. If no preference is given your order will automatically be processed for delivery in 4 working days’ time, this will be confirmed to you in an e-mail, delivery dates can be put back up to 24 hours before the delivery is due to take place. Your order will be delivered 4 working days after it is processed between 8:00 and 12:00, this option is for those who want to be in to accept the delivery but don’t wish to wait all day. Your order will be delivered 3 working days after it is processed – cut off is 12pm, orders placed after this time will be processed the following day. Available to all UK mainland addresses. With this service you can request a weekday delivery date of your preference in the message box (excluding weekends and bank holidays), from a minimum of 3 working days from when you place your order. If no preference is given your order will automatically be processed for delivery in 3 working days’ time, this will be confirmed to you in an e-mail, delivery dates can be put back up to 24 hours before the delivery is due to take place. Your order will be delivered on Saturday morning – cut off is 12pm on Thursday to have delivery Saturday that week. Available to all UK mainland addresses. With this service you can request a weekday delivery date of your preference in the message box (excluding weekends and bank holidays), from a minimum of 2 working days from when you place your order. If no preference is given your order will automatically be processed for delivery in 2 working days’ time, this will be confirmed to you in an e-mail, delivery dates can be put back up to 24 hours before the delivery is due to take place. Your order will be delivered the next working day after it is processed – cut off is 12pm, orders placed after this time will be processed the following day, please leave a special instruction or contact our office if you order after 12pm and want next day delivery as we will try our utmost to get it despatched for you. 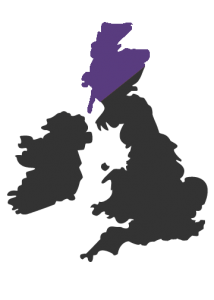 Most highland postcodes are covered by our network of couriers however to avoid disappointment please contact us before placing an order to confirm we can deliver to you. Every order is delivered by either our advanced in-house network (of ever-growing fleet of vans) or through a specially chosen courier. Each method of transport is fully equipped to handle all of our products. It is your responsibility to advise us of any vehicle access issues or restrictions to the property that may affect delivery. 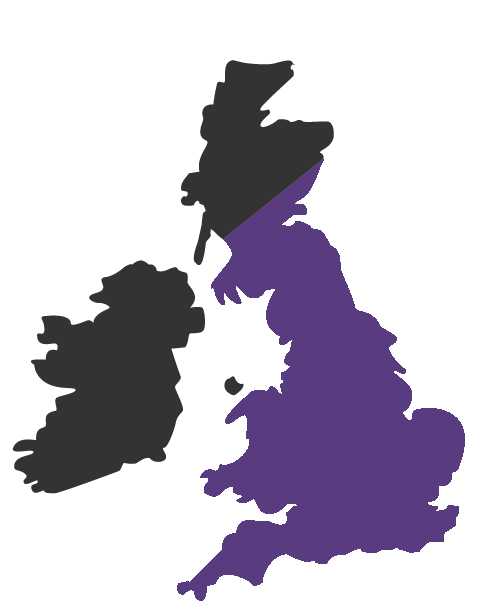 We currently provide delivery for 90% of the uk, with the rest soon to follow. All our delivery methods require a signature on delivery, we cannot always confirm the exact delivery time, deliveries are typically made between 8:30 – 5:30. When your goods are delivered please ensure to check the condition of your purchase and sign if you are 100% satisfied. If your goods arrive damaged, then please make sure to note that when accepting the delivery and contact our sales office on 0333 3660249 and we will make sure to resolve any disputes quickly and efficiently. Most of our products are machined to your order specification and cannot be cancelled once machined. If you need to cancel an order containing made to order products please contact us ASAP to find out whether it has been machined. Please be aware that to meet our fast lead times, we may in some cases start machining orders as soon as they have been placed. Our Express Range of skirtingboards and architraves are kept in stock and may be cancelled at any time before they are despatched. Items that have been despatched may still be cancelled, but will be subject to a 25% restocking charge to cover the cost of processing the return of the goods. If you are quite happy for the courier to leave your goods in a safe place if there is no one in to accept the delivery; please ensure these instructions are passed onto the sales office. All deliveries that are made without signature are done so at the risk of the buyer, we cannot process any claim with our delivery partners for damages without a signature on delivery. It is the customers responsibility to be at the delivery address on the agreed date of delivery. If you do not advise us that you will not be in and no alternative arrangements have been made, the goods will be left without signature in a safe place (we will not be held responsible for any damages in this instance) or returned to the local delivery depot for re-delivery. ANY RE-DELIVERY CHARGES WILL BE CHARGED TO THE CUSTOMER.